With reverence and love the whole Freethought world of America will breathe the name. No less is the affection bestowed upon his beloved wife Thyrza Ann, who worked with him, lived with him. Buffered with him, and died with him. The law of love ne’er welded two hearts more firmly together and as the years come and go their mental and moral worth will make deeper and serious impressions on the minds of the living. Horace L. Green was born in the little town of Virgil, Courtland County, New York State, on the 18th day of February, 1828, The common schools of that period furnished him with the rudiments of that liberal education which, in his later years, brought him to the front ranks of the great world’s heroes. One term in a select school, another term in the village academy, completed his education. Work on a farm now fell to his lot and while still a youth he embarked in the logging industry. With it all he was a constant reader, a close student and an ardent reasoner. At the age of eighteen years he began teaching school and kept his position for seven successive terms. He still kept on reading and under the tutelage of a firm of lawyers in Courtland village, he read law, being admitted to the New York bar in the year 1852. He now began to practice his new profession at Marathon, New Jersey. Here he was elected to the office of Justice of the Peace. Returning to Courtland he was elected Treasurer, an office he occupied and filled for four years. The next few years saw him at Syracuse and Salamanca. 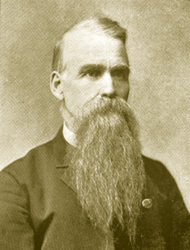 He was instrumental in organizing the Syracuse Radical Club, which closely identified him with the Freethought movement and later he was made a member of the Executive Committee of the National Liberal League and secretary of the New York State Freethinker’s Association, both of which were active organized bodies at that time. For several years Mr. Green had active charge of the Freethought propaganda in America, in its organized capacity, arranging for and organizing state and national conventions, and his great executive ability was universally recognized as a perfect tower of strength to the cause. These brought him to the front of Freethought ranks. He was a worker, a soldier and a leader. To him, to his efforts, are due the many brilliant successes of the past, the force and power of the Freethought bodies, elements which are sadly lacking today. He is entitled to the honor and credit of being one of the fathers of religious liberty in America and it is with liberal hand and heart that these encomiums are accorded to his name and memory. Public lectures fell to his portion. Freethought subjects were his weapons. Allying himself with the anti-slavery movement he espoused the abolition cause and talked and worked for its success. North, east and west his voice was heard. His appearance on the platform was admitted by all to be both pleasing and acceptable, his discourses clear, keen and logical. At the same time he was a vigorous writer and his pen wrote volumes in behalf of mental freedom. Several years ago he started the Freethinkers’ Magazine, which was first published at Buffalo, New York. This magazine became a favored publication all over the country. The best Freethought writers of America were on its staff of contributors. Born to be a reformer he could be no other than a Freethinker himself, and he labored long and well to instill the principles of Freethought in others. The best and most productive years of his life were given to the cause he loved. With excellent judgment he brought forth ripe fruit. His magazine, however, was never a paying proposition. The struggle that continuously confronted him to keep up, publish his magazine and live, told upon his health, and deeming the greater and wider west a more profitable field for his enterprise and campaign work, he moved to Chicago, changed the name to Free Thought Magazine, enlisted the help of the younger element in the cause, and for a time he apparently prospered. During all this time his loving and faithful wife Thyrza Ann (right), stood at his side, encouraging, cheering, and accepting with heroic fortitude such as he could win for her. Panics beset the country. The Free Thought Magazine became a luxury to many, a necessity to but few. Lack of means upon which to make a fair livelihood for himself and wife hastened the end. Old age were upon them. Poverty stared them in the face. Suffering became intense. A heartless world was around and about them. Unfeeling and unsympathetic neighbors knew not the tragedy of mind, the supreme torture they underwent. Sadly may it he told, that one morning, friends and neighbors found this aged and loving couple locked in each others arms, sleeping the last long sleep of death. Words utterly fail to picture the mental heroism of this worthy pair, Together in life, they went together in death. Ah, friends, here, in the suffering of this noble man and woman, is a bitter lesson for the Freethinkers of America. Shall other leaders, reformers, advocates, suffer the same fate? In a blaze of martyr glory the names of Horace L. and Thyrza Ann Green will live long in the hearts of men and women. 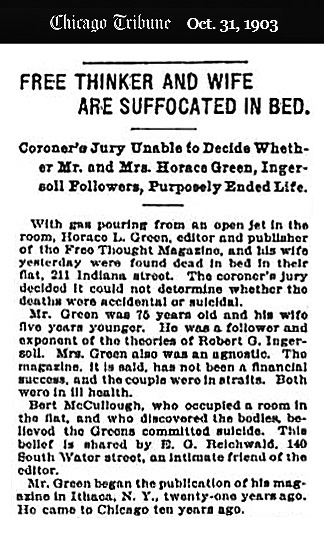 Horace L. Green, editor of the Free Thought Magazine, Chicago, and his wife Thyrza Ann died together while asleep in their room at 213 E. Indiana Street, Chicago, on the night of Oct. 29, 1903. It is known that they died from asphyxiation by illuminating gas, as when found the room was full of gas that had escaped from an open burner, but it is not certainly known why the gas was not turned off—whether accidentally or purposely allowed to escape. The immediate friends and acquaintances of Mr. and Mrs. Green are divided in opinion as to whether they were the victims of accident or despair. The facts that seem to support the theory of suicide are, briefly, these: They were both old and in very poor health, no longer able to conduct the publication of the Magazine, to which the last twenty years of their lives had been zealously an self-sacrificially devoted, from which they received far too small an income, and other means of earning a livelihood being unavailable in their old age and enfeebled physical condition; some time ago their only son, Horace G. Green, who had been the business manager of their magazine, and a young man of splendid qualities and great promise—whom they bad hopefully expected would continue the noble work after they had ended their days of usefulness—suddenly died and left them heart-broken; Mr. Green had of late been arranging his business affairs in expectation of death at no distant day, and had often spoken and written to his friends of this expectation, but a few hours before death making an almost prophetic remark regarding that event; and they had both often expressed the wish that they might die together, that neither should be left to mourn the loss of the other in addition to their already overwhelming sorrow. On the other hand, the accident theory seems to be supported by these facts: Mr. and Mrs. Green were so enfeebled by old age and sickness that they might have failed to properly turn off the gas; they were found in their customary night clothing, in bed, apparently having retired as usual, and apparently having died while asleep; Mr. Green had not yet completed the arrangement of his business affairs; he left no written statement regarding any reasons for suicide, nor what disposition be wished to be made of his personal effects and the bodies of himself and wife, no word of farewell to any of their many friends, no final word of any kind—those who best knew and understood Mr. Green say that he certainly would have left a written statement if he had contemplated suicide. So the sad affair remains a mystery as to the cause. But be it one thing or the other, I have no word of condemnation; only words of praise, pity and deepest sorrow. H. L. Green was born Feb. 18, 1828, and hence lived to be nearly seventy-six years of age. Mrs. Green, was, I believe, seventy-two years of age. Mr. Green had been prominent in Freethought propagation work for many years, and widely and very favorably known among Liberals everywhere. His Free Thought Magazine was the very best Liberal periodical published anywhere, and deserved a thousand times more patronage than the notoriously apathetic Freethought public ever gave it. Its chief fault was its low price; a reform monthly of its size, being without advertising patronage, was well worth two dollars a year, and Brother Green was the sufferer on this account. He was magnanimous, liberal and humanitarian to a fault—his only reward, consciousness of doing right. I am happy to be able to say that H. L. Green was my friend; and he had been very kindly-disposed toward the Review though it occupied, to a degree, the same field as that of the Free Thought Magazine. I have always esteemed Brother Green as one of the very best representatives of what I believe to be true Liberalism, and in his death I feel not only the loss of a true personal friend, but that the cause of Liberal Freethought has lost one of its most bright and shining lights and most zealous yet tolerant champions. In his work for humanity he still lives, and in it is his immortality. At the funeral, Sunday, November 1, 1903, Judge C. B. Waite and M. M. Mangasarian made brief addresses in which deserving tributes were paid to the noble character and great services to humanity of Mr. Green and his devoted wife. 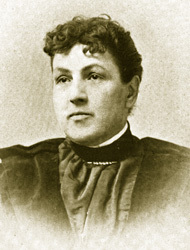 In the burial, the bodies of both Mr. and Mrs. Green were placed in the same grave, with that of their son, which had been exhumed for that purpose, placed between them—a fitting recognition of that love for one another that was dearer than the love of life and stronger than the fear of death. This consolation remains with us: If death ends all, they shall never suffer more; if there is a future life, the life so well-lived here was surely the best possible preparation for it, wherever it may be or whatever may be its nature.